The most-trusted, best-selling monofilament available. Exceptionally strong and extremely durable.  The right line for every fishery. Adaptive color changing technology allows Chameleon to match the color hues of surrounding water. Outstanding abrasion resistance. Clear above the surface and clear below. Incredibly strong and easy handling.  Super soft, yet retains Maxima’s tough, high-durability finish. Distinctive golden color makes it immediately visible above water, even in low light, yet super stealth-like underwater. Superior strength. The saltwater specialist. Tuna Blue incorporates the proven characteristics of extreme tensile power and superb abrasion resistance to land world-class catches. Constructed with proprietary, 8-yarn round braiding technology. The micro-fibers interweave extremely tight and rounder than most other braids.  The world’s finest, high visibility monofilament line. Allows anglers to easily track line location while drifting, trolling, jigging or cranking. Meets IGFA rule requirements for tournaments where specific weight standards for breakage are in force. Available in three types. The most invisible underwater line. Low refractive material with non-flash components excels in clear water fisheries or when fish are easily spooked. Ultra-convenient, pocket-sized spools. Available in most Maxima high performance line types. Perfect for smaller tackle boxes and fishing vests.